Arizona is absolutely gorgeous most of the year. One of the perks that we have living in Arizona is BBQ season is almost all year. We find that many families spend much of their time in their backyards. 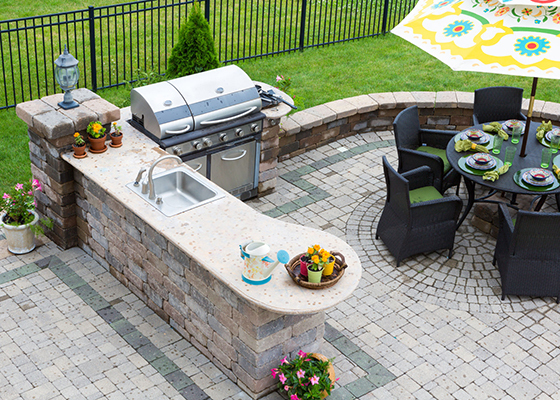 We are here to help turn your backyard into a vacation at home. We can help you convert your electric appliances to natural gas as well. We offer free gas line quotes, call to schedule your estimate today. Gas lines require permits and inspections. It is important when considering gas lines to hire a licensed professional experienced in gas lines to handle the installation for you to ensure a job done right and a job done safely. If you’re considering installing a gas line in your residential or commercial property, let the professionals at Robins Plumbing, Inc help. As a leading provider of gas line installation in Phoenix, our team is passionate about providing professional and prompt services to our customers. In addition to gas line installation, we also specialize in residential and commercial plumbing services, drain cleaning, water heater repair and replacement, restoration and flood cleanup, and more. As your go-to Phoenix plumbing company, were dedicated to your complete satisfaction. If you’re interested in installing a gas line in your home, schedule a service with our team today.